There’s something special about reaching the top of a building or mountain and admiring the vast views in front of you, don’t you think? During my two day trip to Copenhagen I wanted to catch the best view of the city, so I headed to a neighbourhood called Christianshavn to visit the Church of Our Saviour. 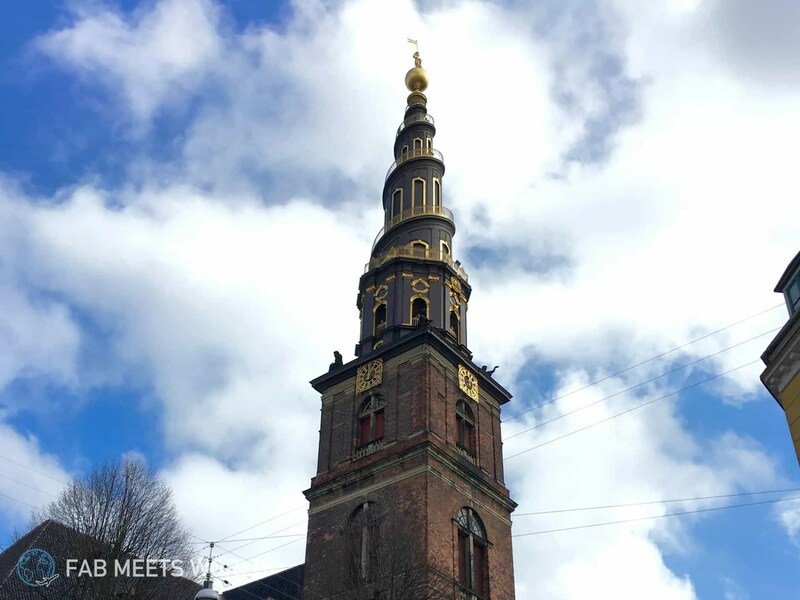 One of Denmark’s most famous churches, this monument stacks up 90 metres above street level and you’ll need to climb 400 steps to reach the top, so you’re definitely in for a bit of exercise. Make it up the first 250 steps to the top of the church itself and you’ll be treated to a lovely view of Copenhagen, but if you want the really good view, you’ll need to hike up the last 150 steps around the spire on top of it. Jokes aside: if you love yourself a good view and don’t mind hiking a little, the view at the top of the spire really is breathtaking — especially if you go on a nice day. In the video below, I climb the last 150 steps around the spire and show you the view of Copenhagen. Would you make the climb? Let me know in the comments!